Dies which seat and crimp with one pull of the press do not create a proper seat or crimp. They essentially jam the bullet and the crimped case together, resulting in shaving or bullet swaging. 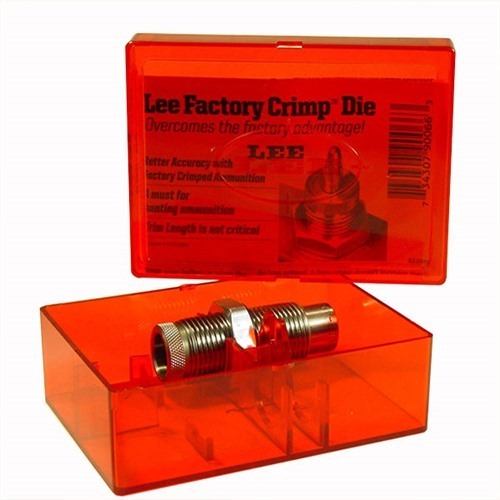 By using your seating/crimping die as a seater, with no applied crimp, and then gently crimping with the Lee Factory Crimp Die, you can achieve an adequate crimp without excessive bullet sizing and without shaving. 1/2 turn of crimp seems to do the trick. Used in combination with the Lyman M die, remarkably consistent results are possible.